I am a selfless soul, one among many on the planet. There must be at least a billion other people like me who quickly get down to brass tacks when it comes to helping someone else out. On my own, I could die of clutter. 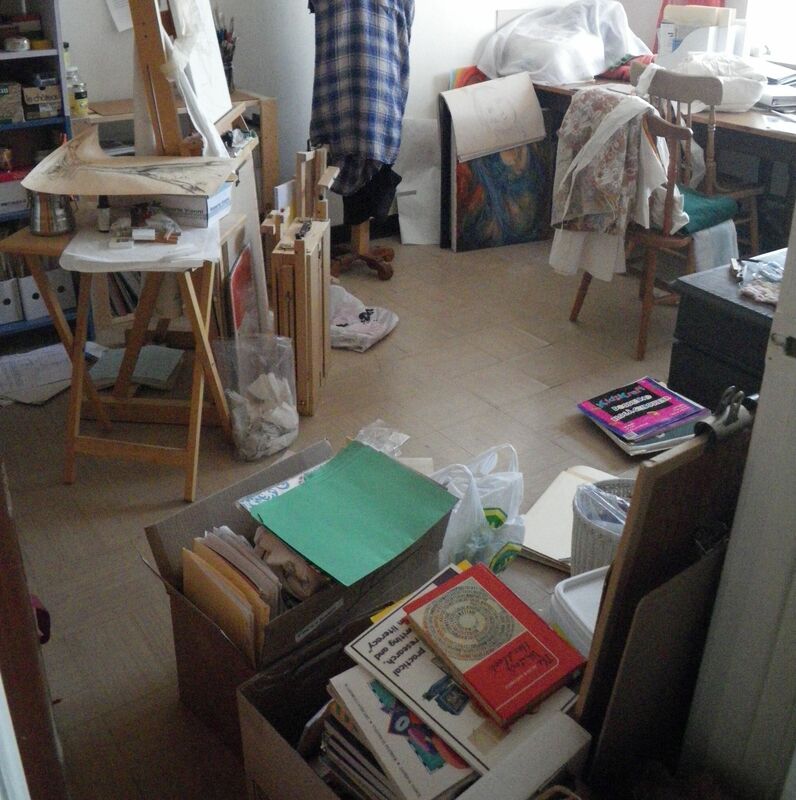 The studio has been a mess all winter and you know about the piles. I’ve got a corner of the table clear for working on the sweater pattern and I can get to the sewing machine. Otherwise, the room is occupied. Files of work-related documents, binders and books cozy up beside the art and textile projects like they are old pals. So here’s the push. Last week I bartered expertise with a friend–his in business for mine in watercolour painting. Only, where will I put him when he comes to the studio? As you know, there’s fabric piled on the chairs. At least, I think there are chairs underneath. For the sake of this person, for this relationship, I’ve literally pushed everything not related to studio practices out. Just pushed it out the door. Now I have space–floor, table, shelf and closet space. Soon, I will have chairs. Never mind what I’ll do with the boxes in the hallway. Never mind how great it looks to my friend. The push from helping someone else has helped me out enormously. I can work in my studio again. Love it when I discover what everyone else knows.